I suppose that all of you who are already developers, have requirements to mark fields that specify whether users must enter a value. Now, with new ShowMandatory property on page fields, we can do it easily. 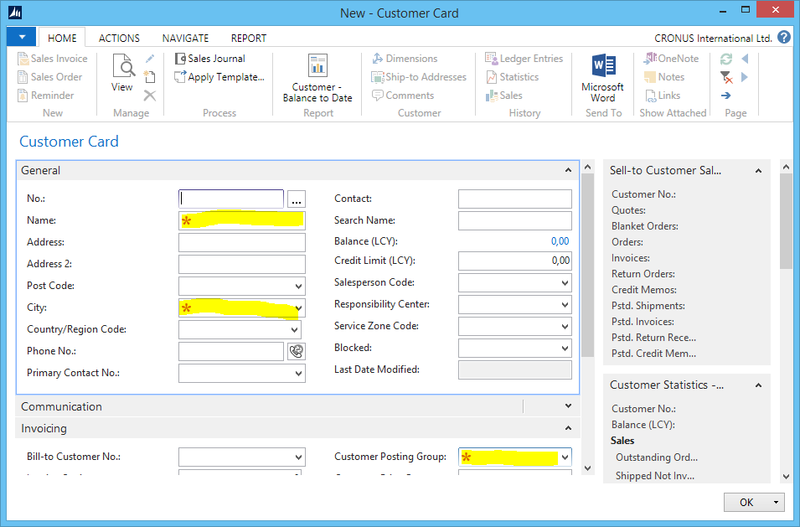 This is small, but very useful thing in NAV 2015. When we set value in field as mandatory, the field will be marked on the page with a red asterisk and does not enforce any validation. Once the field is filled, the red asterisk disappears. When we configure this property, this red asterisk will appear on all Microsoft Dynamics NAV clients – Windows, Web and Tablet Clients. In Windows Client, the red asterisk is inside the mandatory field, but in Web and Tablet Clients, the asterisk is in front the field. Everything works the same in all clients. The ShowMandatory property can be specified as true, false, or as an expression. As remark, the ShowMandatory property controls marking the page field with a red asterisk independently of the NotBlank Property. The ShowMandatory property can be used to mark all page fields, but does not enforce any validation of the field. This means that the user will be able to close a page without entering data. A simple and useful tip.